Portugal is using goats to keep wildfires at bay. Goats grazing on arid land eat the dry brush that helps fires spread easily. They also trample the grass, which makes it less likely to burn. The goats are being used to feed on the vegetation in areas that are highly susceptible to catching on fire, which just one tiny spark can ignite. The presence of goats in fire-prone and hard-to-reach areas decreases the possibility of a fire happening and minimizes its spread should one occur. Although the goats do not damage the grounds, herds of 350-400 head can denude an acre a day, trimming low branches, consuming foliage and woody vines, and stripping bark from shrubs. When the land is cleared, they are moved to another acre. This method also reduces the need to survey the land for fire probability. Using goats to control forest and field brush to prevent wildfires has existed since grazing animals have roamed the planet. In particular, the animals have been enlisted for fire mitigation purposes across parts of California, Arizona and other drought-prone parts of the western United States. 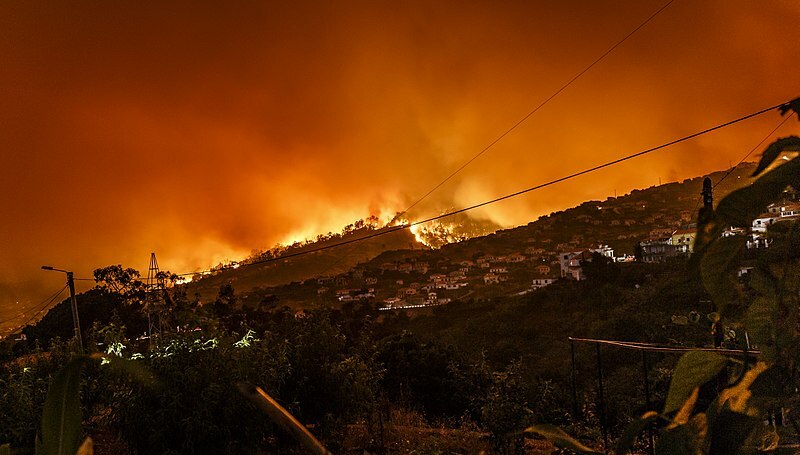 And currently, the escalating number of fires in Europe during increasing heat waves, and the high cost of fighting them, has shifted the focus in the Mediterranean Basin from suppressing fires to preventing them. 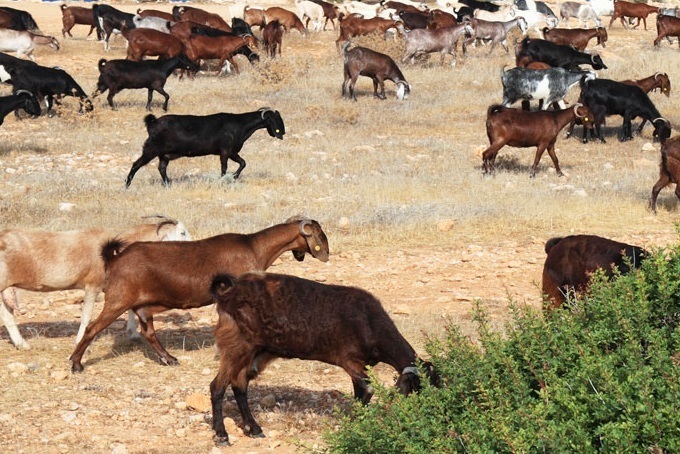 According to the 2014 article “Goat grazing as a wildfire prevention tool” by R. Lovreglio, O. Meddour-Sahar and V. Leone in iForest, the journal of the Italian Society of Silviculture and Forest Ecology, “France, Greece, Italy, Spain and Portugal spend a total of 2500 million Euros annually in the fight against forest fires, 60% of which [is] allocated to cover costs related to suppressing fires, while only 40% is invested in activities targeted to prevention.” Today, however, that is changing, with long-term preventive measures becoming more prevalent. Portugal especially has invested in herds of goats to clear 10 meters (11 yards) of brush along both sides of country roads and a 50-meter radius around isolated homes. Goat grazing is proving cheaper, too: estimates in California reveal it costs about $700 dollars per acre, or one-third the cost of cutting or removing the vegetation most susceptible to burning by hand or with weed whackers. What’s more, grazing is an effective, nearly carbon-neutral weed control technique that is cost-effective, non-toxic and non-polluting. In other areas less liable to wildfires, goats are used as a biological means to reduce unwanted plants that requires no pesticides or herbicides and does not generate greenhouse gas or other harmful emissions.